Andhra Pradesh Public Service Commission is going to release APPSC AEE Notification 2017 for the recruitment of Assistant Executive engineers in various engineering services. Candidates who are willing to apply for government jobs can check the eligibility criteria for APPSC AEE Jobs. Interested and eligible candidates can apply for appsc Assistant Executive Engineer Recruitment 2017 through online before the last date. Are you searching for APPSC Jobs in all the websites? You have reached the right page. Recently, Andhra Pradesh Public Service Commission has announced the APPSC AEE Recruitment 2017 Notification through the official website. All the interested candidates can utilize this wonderful opportunity and apply for APPSC Government Jobs. 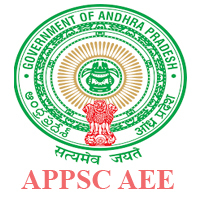 Before going to apply for Andhra Pradesh PSC AE AEE Jobs, candidates have to check the eligibility details such as qualification, age limit, etc. Eligible candidates of APPSC AEE Exam 2017 can go through online mode to apply for AP AE AEE Jobs. The officials have already invited the application forms for the recruitment of Asst Executive Engineers. The APPSC AEE Notification details such as eligibility, application form, fee, selection process, how to apply, etc are covered in the below sections. So, we advise the candidates to read the entire article without missing a single word to get the complete details regarding AP AEE Exam 2017. Aspirants who are willing to apply for APPSC Assistant Executive Engineer Vacancies have to check the following eligibility details. Candidates who have satisfied the eligibility conditions such as age limit, educational qualification, etc can fill & submit the appsc application form through online. Assistant Executive Engineering (Civil/Mech) in A.P. Panchayat Raj Engineering Service: Candidates have to possess bachelor’s degree in civil/mechanical engineering from any institution recognized by UGC. Aspirants who have passed the sections A & B of AMIE Exam conducted by Institute of engineers in civil/mechanical/AMIE & B.Sc (Engg) of Ranchi University are also eligible to apply for APPSC Jobs. Candidates willing to apply for APPSC AEE posts possess the age within the above limits as on 01/07/2017. For more details regarding the age limit, refer to the official APPSC AEE Notification. Candidates who have met the above eligibility details can also check the APPSC AEE Notification details such as selection process, salary details, etc through the below sections. Candidates who have shortlisted in all the selection rounds are appointed for APPSC AEE Jobs. Most of the applicants are facing a lot of difficulties while filling the APPSC AEE Online Application 2017. So, we have provided the simple steps of how to download the appsc aee application form 2017 through online. The APPSC AEE 2017 Online Application form will be available through the official website from 18th August 2017 up to 21st September 2017. Applicants have to pay the APPSC AEE Exam fee of Rs. 250/- towards the application processing fee and Rs. 120 towards the exam fee. The Reserved candidates are exempted from the payment of appsc aee application fee. How to fill APPSC AEE Online Application 2017? On the appsc home page, search for APPSC AEE Notification 2017 link. Read the APPSC AEE Recruitment 2017 Notification details carefully. Click on “APPSC AEE Apply Online” link. Fill all the details in APPSC AEE Online Application form. Candidates who have successfully applied for the exam have to download the APPSC AEE Syllabus. Also, download the previous papers for the practice purpose. Plan the preparation for appsc aee 2017 exam with the help of syllabus & exam pattern. 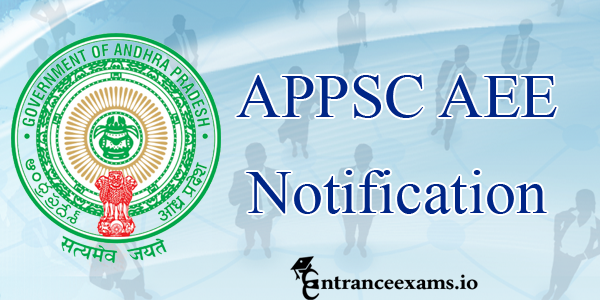 The information provided on this page regarding APPSC AE AEE Notification 2017 is for the reference purpose of the candidates only. We will also update the further details of appsc AE & AEE Recruitment 2017 through this page. So, we advise the candidates to stay connected to our site to get more details of appsc Jobs. I am also having the same doubt.. please, can you clarify the doubt ? Sir, I am complete my U.G. on CIVIL ENGINEERING right now , but the certificate are not in my hand, while also can I apply for the AEE post . Please suggest the text books/materials to clear general paper in this exam. when will be notification releases?? I am eee student..IS any notifications for my branch?? Please confirm the AEE 2017 notification.date. Sir can you say the expected date for AEE notification. Sir,In which date the AEE Notification can be release…? in which date aee notification released ? Aee notification was not released. It may take time. Up to me in starting of 2018 notification may release. Whoever passed can apply n certificate is not a issue. Only btech students are eligible for aee.